Why Are Probiotics in Everything Now? You probably already know that probiotics are beneficial bacteria that improve the health of your digestive system. You also probably already know that probiotics are found in fermented foods such as yogurt, sauerkraut, kombucha, and kimchi. What you may not know, however, is that probiotics are now popping up in everything from cereal, snack bar, chips, and (wait for it) cleaning products. So, hold up. Are the probiotics in these new shelf-stable products the same as those in fermented foods? And are they as beneficial? 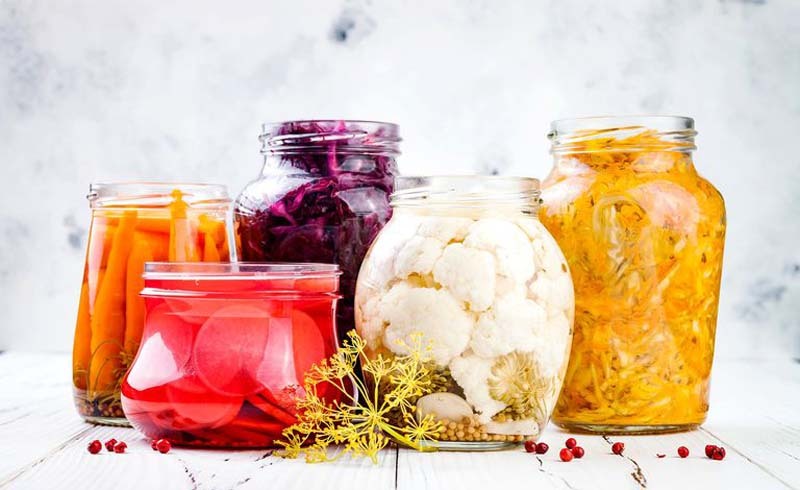 The big difference between the probiotics in fermented foods and those in shelf-stable products is that those found in fermented foods are live. 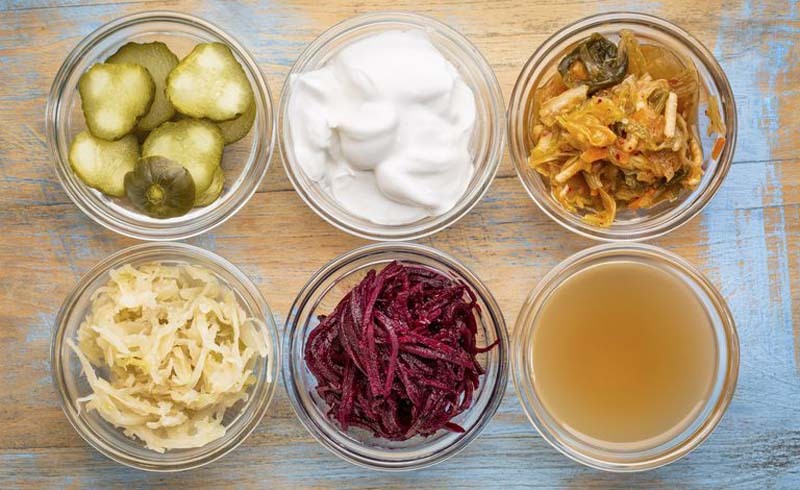 Yes, these fermented foods are quite literally alive—and that’s what makes them so good for you. But here’s the deal: These live probiotics are fragile and can easily die off—along with any health benefits they carry to you. Now if probiotics are so delicate, how can they exist in shelf-stable products? It’s all about which strains manufactures use. There are certain probiotic strains (spore-forming bacteria such as Bacillus coagulans, for one) that don’t require refrigeration. What does the research say about the benefits of these probiotics? The science is still limited and emerging. While the studies are promising, the scientific community is far from establishing a comparable body of evidence that currently exists live probiotics. What’s more, because the Food and Drug Administration doesn’t have a position on probiotics, it is left to the companies to provide adequate substantiation for the claims they make on probiotic products. At the end of the day, if you’re trying to pick a healthful snack, a potato chip with probiotics isn’t the same as a piece of fruit. Whole foods will almost always trump processed foods with a healthy something-or-other added. U.S. Daily News: Why Are Probiotics in Everything Now?